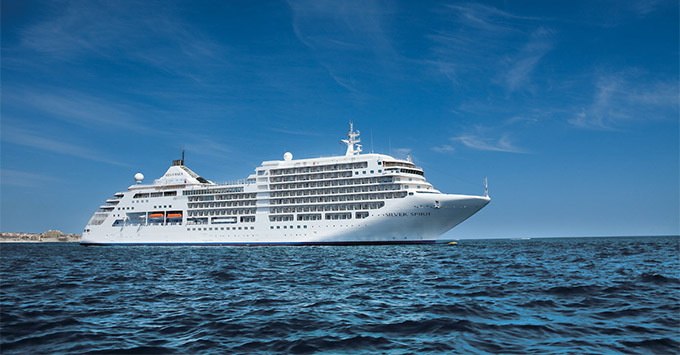 (2 p.m. EDT) -- Over the next few years, luxury line Silversea Cruises will take its ships to an even higher standard though Project Invictus, a fleetwide program covering everything from product upgrades to ship-wide refurbishments. The project's implementation comes on the heels of Silversea's official entry into the Royal Caribbean Cruises Ltd. company. Royal Caribbean revealed in June 2018 it would buy a majority 66.7 percent stake in Silversea. It now oversees Royal Caribbean International, Celebrity Cruises, Azamara Club Cruises and Silversea, among other brands. "We're excited to join the Royal Caribbean family and ready to begin this next chapter as part of an industry leader that is uniquely qualified to support Silversea's future growth," said Manfredi Lefebvre, Silversea's executive chairman, in a statement. Silver Muse, the line's newest and biggest ship, will get the first taste of Project Invictus, with an enhanced Champagne and caviar experience rolling out on August 19, 2018. These and other upgrades, yet to be revealed, eventually will be fleetwide. In December 2018, Silver Whisper will undergo an even more extensive refurbishment than initially anticipated. In addition to receiving a more modern look (in line with Silver Muse) and Zodiac boats for tours, the ship will see a partial refit of all its cabins. Silver Wind, too, will benefit from a makeover of its public spaces, restaurants and cabins -- a design initiative the line refers to as "Musification." (Take a photo tour of Silver Muse to get an idea of what the design will look like.) The ship entered dry dock for a short time in December 2017, for routine maintenance. (While the line had previously said that it was considering converting Silver Wind into an expedition ship, like its sister Silver Cloud, it's not clear whether or not that's still part of the line's plan). Prior to Royal Caribbean's acquisition, Silversea made significant changes to Silver Spirit, stretching the ship to make way for more restaurants and bars, while its interiors underwent Musification.